Mirrors for Training Ltd are dedicated to offering the highest quality mirrors, as a leading UK supplier and manufacture of specialist mirrored training products, offer full design, build and installation services from single mirror installations to large bespoke fits covering several walls even mirrormazes, no job is to large or too small for our dedicated team. We regularly install our system to clients in fitness, leisure, dance, theatre and TV/Film. At our purpose built warehouse we stock large quantities of only the highest quality new generation of mirror manufactured using eco-friendly process. This advanced manufacturing process used also improves the optical quality of the mirror and significantly increases longevity of glass through better resistance to corrosion. Our made-to-measure mirror is processed in-house, safety backed and manufactured to British Standards. 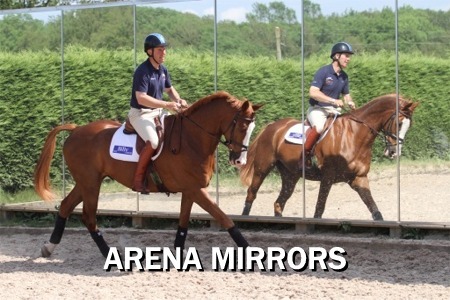 Our mirror installations are undertaken using our unique, polished aluminium system. This is the recommended way of installing safety mirrors, avoids using unsightly screw fixing, and adhering the mirrors (safety mirrors should always be mechanically installed) Our system allows the mirrors to be easily removed, if needed in the future. 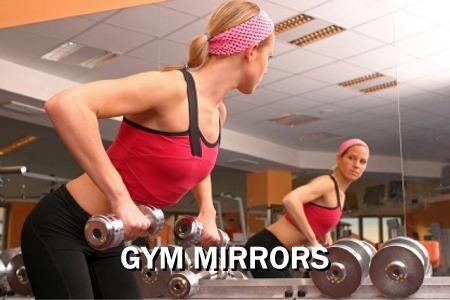 One thing you’ll notice about any popular gym or health club is that they’re full of mirrors! 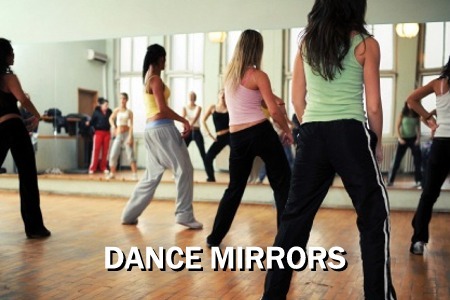 In the weight room, change room, cardio room and everywhere else you’ll find walls of large, full length mirrors. Mirrors allow members to view their reflection and inspect their exercise form, and determine whether they’re progressing with their workout program. Mirrors can also serve as a motivational tool as well. Be it Boxing, Yoga or Step Class, exercising with mirrors allow you to view your exercise form to make sure that it is correct. With a mirror you can visually determine whether you’re cheating during an exercise. 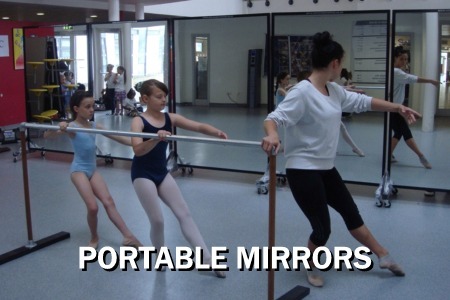 As you’re performing your set, a mirror provides actual feedback where you can check your form & posture.